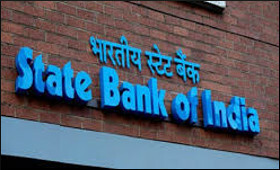 Amid the ongoing tussle between the government and the Reserve Bank of India (RBI) on liquidity issue, State Bank of India (SBI) Chairman Rajnish Kumar on Thursday said there was no liquidity crunch for the non-banking finance companies (NBFCs). "There is no liquidity crisis (in the NBFC sector). I think all of them (NBFCs) have been able to rollover and meet their commitments," Kumar said on the sidelines of 25th World Congress organised by the World Savings and Retail Banking Institute, SBI and rural bank Nabard. Replying to queries on liquidity concerns, triggered by payment defaults by the Infrastructure Leasing and Financial Services (IL&FS), Kumar said the NBFCs have managed to roll over their debts that were scheduled to mature in the near future into new debts. Nabard Chairman Harsh Kumar Bhanwala said the liquidity crisis may be an issue with some specific NBFCs due to the mismatch in their assets and liabilities but is not a general concern. "Issues arose on account of some of entities (NBFCs) which had borrowed short and created long assets. So, it may be a specific problem. It does not seem to be a systemic problem," Bhanwala said, adding that banks including Nabard were helping the NBFCs. Nabard has lent Rs 15,000 crore to the NBFCs, he said. The liquidity concern has gripped the government which fears the crunch in NBFC may spill over to other sectors and wants RBI to address the issue in its forthcoming board meeting on Monday. However, the central bank has maintained that it does not see any liquidity crisis.